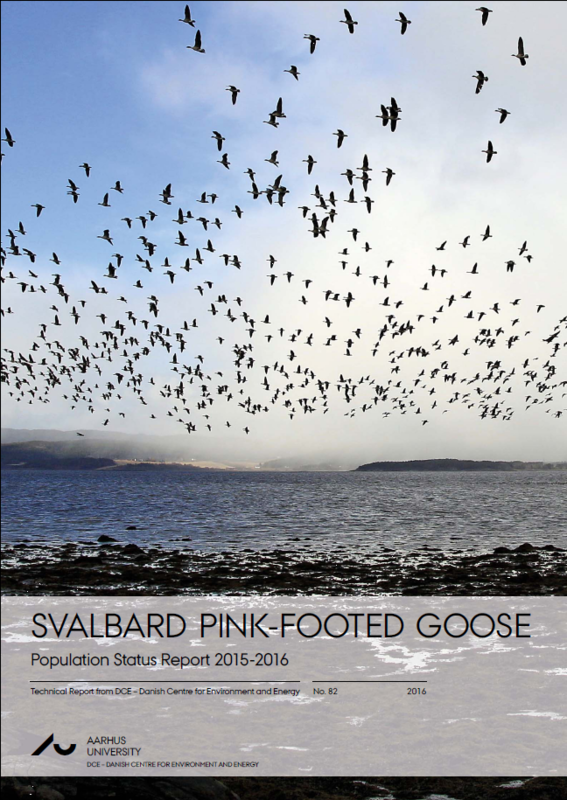 The population for the Svalbard pink-footed goose (rounded to the nearest 1,000) in May 2016 is estimated to be 74,000 individual geese. As for previous years internationally coordinated population counts were carried out in autumn (November 2015) and spring (May 2016). Over the last few years pink-footed geese have been observed in areas outside their traditional staging and wintering areas. In light of this, for both the autumn and spring counts, there was greater focus on monitoring new areas, particularly with locally organized counts in new areas in Sweden and Germany, as well as Denmark and Norway. In addition, a surprising development has been increased sightings of pink-footed geese in the Oulu region of western Finland, and a count was organised there in May 2016. In 2015, the number of harvested geese was 11,221, which is lower than in 2014, but at the same level as in 2012 and 2013. The numbers harvested were above the 6,700 recommended in the 2015 AHM Report. This is primarily attributed to Danish hunters shooting more than expected, despite the previous January hunting season extension (in 2015) being withdrawn in 2016. However, adjusting the hunting season length as a tool to regulate harvest is not necessarily linear and is sensitive to several other factors. In addition, it should be borne in mind that the recommended quota was based on a spring population estimate of 59,000, and it is likely that the population was in reality around 70,000. Productivity of pink-footed geese can be predicted using the number of thaw days in May (number of days with mean daily temperature above 0°C). In 2015 there was an average of 9 thaw days, slightly above the long-term average for 1990-2014, which was 7.8°C. An average production of young in 2015 (14%) was thus predicted. In 2016, an average of 20 thaw days was recorded. Hence, it is predicted that the forthcoming breeding season will be above the long-term average. The increased effort to improve population estimates has been of benefit and these recent counts show that the population estimate of spring 2015 (59,000) was definitely too low, as communicated to the range states in late autumn 2015. The optimal harvest strategy for the forthcoming 2016-17 hunting season is reported separately on this website. For more details please see the attached report.